The SpectraLED post top range displays a modern and fresh design which compliments any landscape. The marine grade aluminium housing combined with a UV stabilised polycarbonate cover ensures IP66 integrity is maintained, while providing visual elegance. The high output energy efficient LEDs deliver a life span greater than 70 000 hours, and can provide both symmetrical and asymmetrical light distributions. The SpectraLED post top range is available in 30 and 60 W versions. 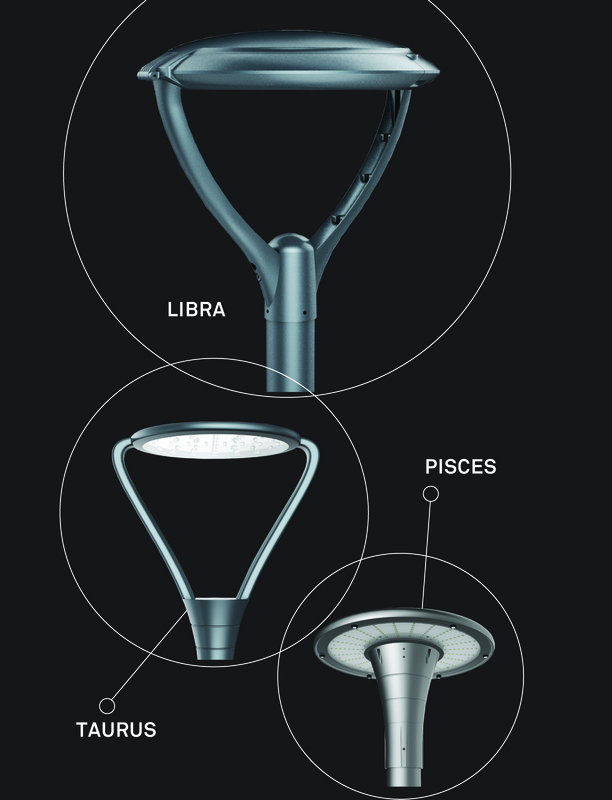 Applications include public amenity lighting, outdoor lighting, office parks and walkways.